Show your true stripes with these cozy pink tiger paw slippers. 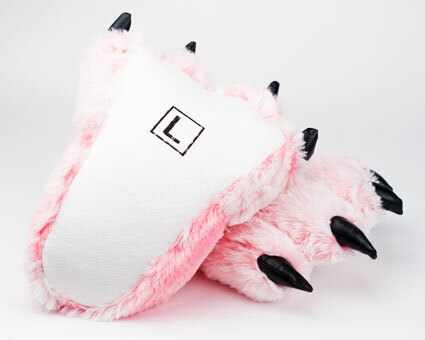 Rendered in an eye-popping hue, the pink tiger paw slippers also provide full coverage and thick, plushy soles. Available in multiple sizes, they are purrfect for every member of your litter. They are perfect! My sister loves them! Advantages: Perfect fit, matched the description, delivered in a timely fashion! 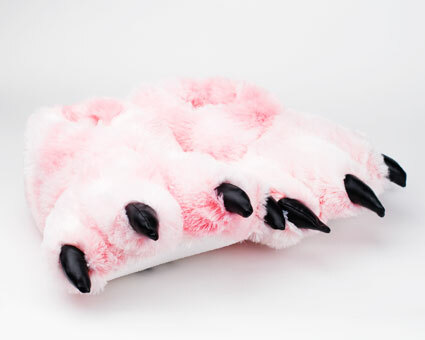 I absolutely love these pink tiger paw slippers!.Especially when they keep you're feet nice and comfortable!. 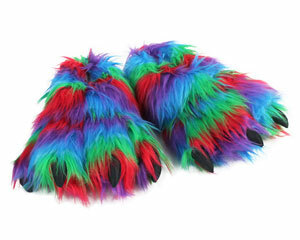 Advantages: Very soft and awesome to wear around the house!. Awesome Product! It’s for my girlfriend and she will love it for Christmas! She been asking for it. They are HUGE! Advantages: Warm, soft and so so comfortable. These were shipped way earlier than expected, they're really soft and pretty, I want to recommend this to eveyone!! If my child grows out of it I will definitely buy her a larger pair! Advantages: Soft, Comfy, and beautiful!! I love these slippers! They are so cute and the material is so so so soft!!! Perfect for a comfy and relaxing evening at home. Shipping was fast as well! Will recommend this company to family and friends. My oh my, this product is purfect. My furry costume has been so incomplete til I found these adorable slippers, finally me and my partner can mate successfully in full form.